If you have a vegetable garden, then you have pests licking their lips wanting in it! Pests love vegetable gardens and all of the tasty treats they have to offer. If you are not vigilant about keeping pests at bay, your garden can soon be overrun with nasty bugs and pests. 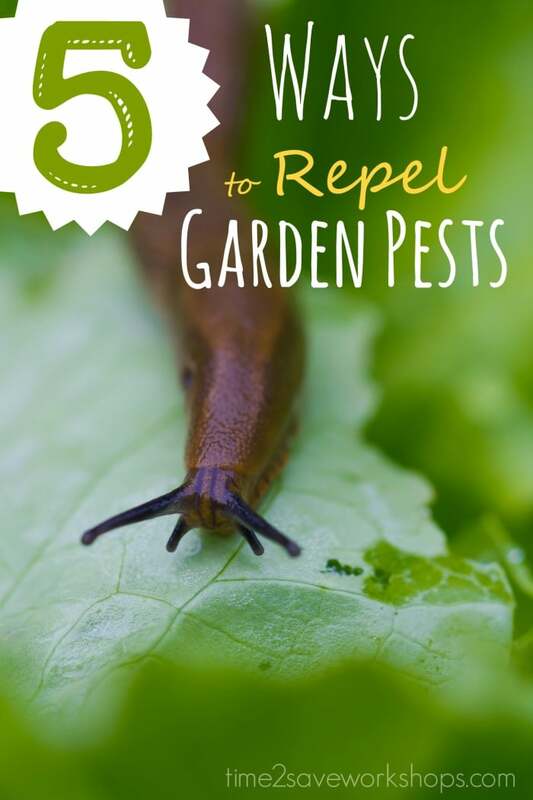 If you are looking for ways to keep these pests out and your tasty vegetables in, take a look below at 5 ways to repel vegetable garden insects in a way that is easy and inexpensive. 1. Pour them some beer. Slugs love beer. Place some in a shallow bowl and place the bowl in your garden. The slugs will want to crawl in and won’t be able to crawl out! Sprinkle some hot pepper flakes along the perimeter of your garden and pests won’t want to cross it. Be liberal, and reapply after a heavy rain. Add some dish soap to a bottle and mix well with water. Spray directly on your plants and veggies and bugs won’t want to touch them. Take a few minutes a day to remove any pests you see by hand. Yes, it can be tedious but it is truly effective and will keep those pest numbers down. Creating pools of water in your soil can attract pests. Be careful not to over water and only give your plants the amount of water they can absorb. And if you don’t mind ladybugs – they make WONDERFUL little pest-killers! They eat aphids, Moth eggs, Mites, Scales, Thrips, Leaf Hoppers, Mealybugs, Chinch Bugs, Asparagus Beetle larvae, Whitefly and other common garden pests. We’d love to hear if you’ve tried anything that you would recommend! See how simple it is to keep those plants of yours safe and bugs far away? Give these ways to repel vegetable garden insects a try and you can enjoy a pest free planting year!